Ok, so I had some free time last night and decided to get stupid. I found myself repeatedly saying “No Sir, I don’t like it” last year, and it triggered me to go find a suitable Mr. Horse figure to have here on the mix-match shelf. I came across and grabbed the early 2000’s Palisades Toys Mr. Horse. It’s a pretty big and complex figure given the property was probably just peaking into retro status at the time. So, without further delay, I give you some Mr. 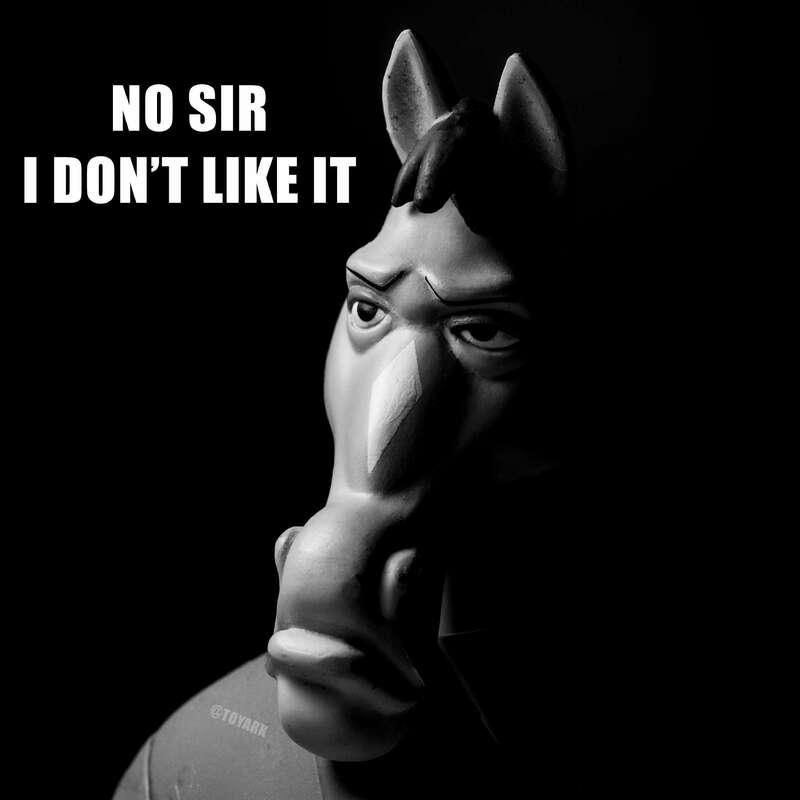 Horse “No Sir…” Memes using this epic figure. Feel free to download and use as you see fit. I’m finding myself pretty much able to just use these to communicate in life now.